Unfortunately this race has come to an end. 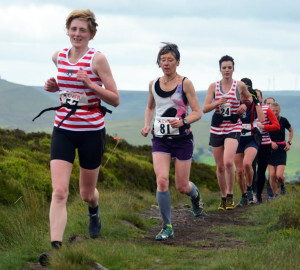 It started life as the Wadsworth village fair fell race set up by Graham Bell in 1983. The following year Bernard & Kay Pierce took over the race and organised it for 15 years, passing it on to Allan Greenwood in 1999. In 2002 Allan renamed the race as Tom Tittiman and in 2004 Bill Johnson took on the organisation for 12 years. 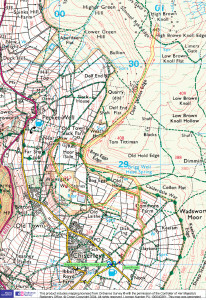 The route changed slightly over the years, notably in 2006 to start at the Hare & Hounds rather than the community centre, when the village fair ceased to be held. As the Tom Tittiman race, it has been won by: Nick Barrable (2002), Dave Walker (2003), Andy Shaw (2004), Chris Smale (2005), James Logue (five times), Jonathan Hare (2007), Shaun Godsman (2010 & 2014), Jason Williams (2011) and Joe Crossfield (2013). 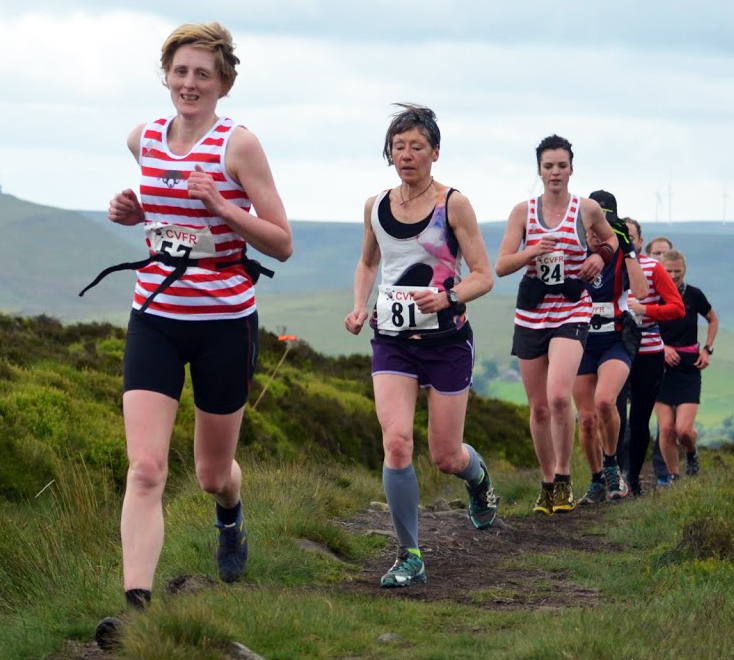 Female winners have been: Pernille Karsson (2002), Anne Johnson (2003 & 2009), Sally Newman (2004 & 2011), Jo Smith/Buckley (2005 & 2006), Donna Cartwright (2007), Christine Preston (2008), Heather Gardner (2012) and Gayle Sugden (four times). CVFR were first team for the last six consecutive years of the race. Before that it was Holmfirth (twice), Pudsey & Bramley, Clayton, Todmorden and Halifax (three times). The women’s team prize was taken by CVFR for 10 of the 14 years, and Leicester Owls for 3 years. Keighley & Craven are the only other women’s team to have won. As the Tom Tittiman race, the race numbers ranged from 69 (2012) to 114 (2003 and 2013). 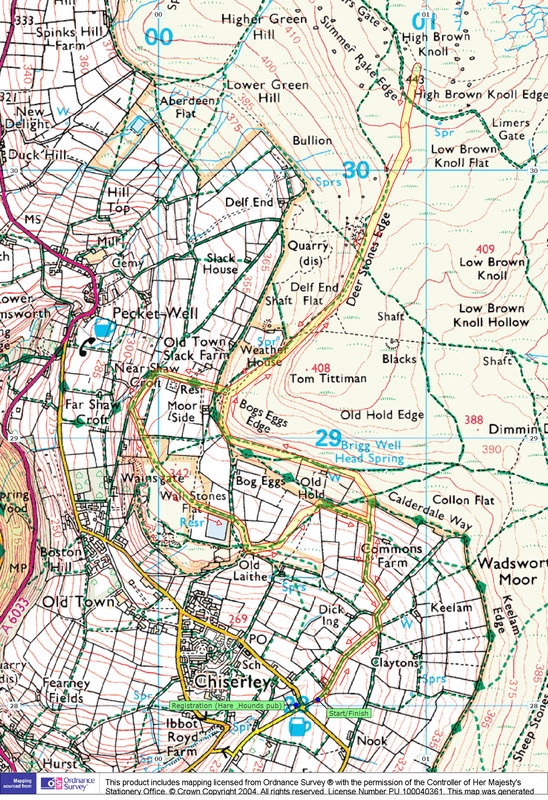 It was used as the Yorkshire vets championship race in 2002 and 2004.
near Hebden Bridge. HX7 8TN.